I saw three rainbows on my way to work this morning but only captured one with my phone. 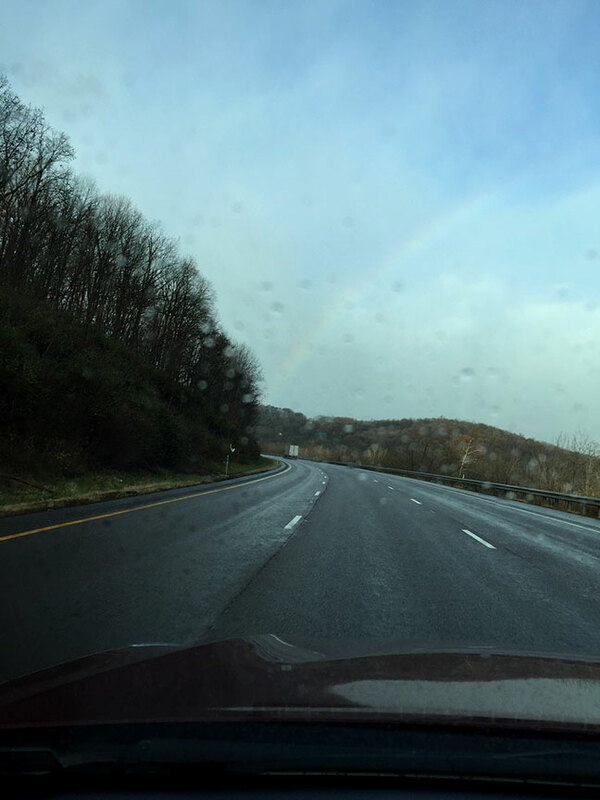 This entry was posted in travel, work and tagged driving, rainbow, work by Patti_is_knittinginflashes. Bookmark the permalink.